At Chelsea Fertility NYC, we do not accept or deny patients for treatment based on likelihood of success. This is what we mean by open access. The choice to undergo IVF treatment is a decision many women and couples make with the hope of a successful outcome. For a prime candidate in the majority of programs, transferring one blastocyst will yield over an almost 50% pregnancy rate in women under the age of 35. For other candidates, SART (in conjunction with The American Society for Reproductive Medicine) has published guidelines on the recommended number of embryos to transfer based on specific patient characteristics, like age and history. 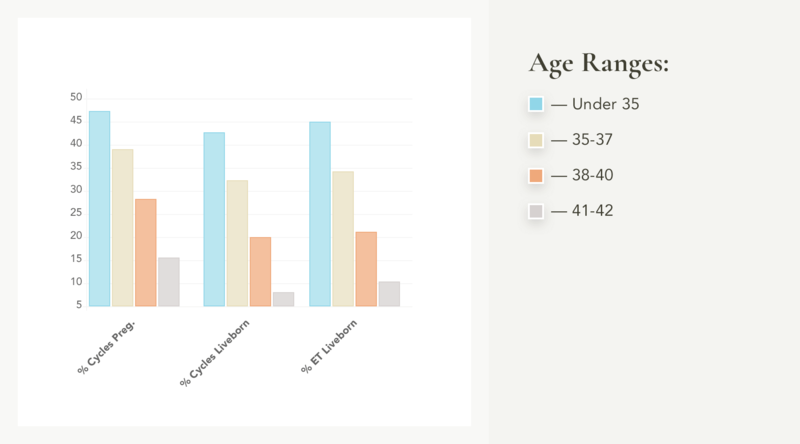 After age 35 the success rates for IVF naturally decrease. 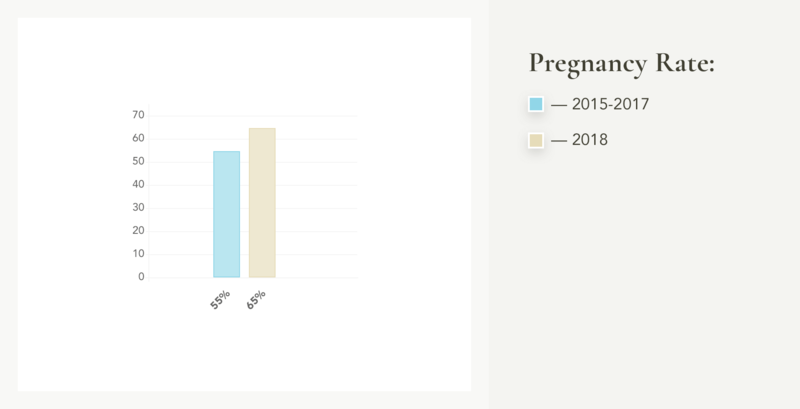 Part of this decline is due to a lower chance of getting pregnant from ART, and part of it is due to a higher risk of miscarriage with increasing age (especially over age 40) which reflects the natural deterioration of the genetic integrity of the embryo with age. If patients require several cycles of treatment to have a baby, the success rates may also remain fairly constant over several cycles but may vary greatly between individual patients. Advanced technology and uniformity in commercially available culture media has allowed all IVF treatment programs to reach optimal success rates. For specific questions about our success rates, please contact Chelsea Fertility NYC. Please note: A comparison of clinic success rates may not be meaningful because patient medical characteristics, treatment approaches, and entry criteria (FSH, AMH) for ART may vary from clinic to clinic. The data presented above are for fresh non-frozen embryo transfers without PGS (pre-implantation genetic screening). 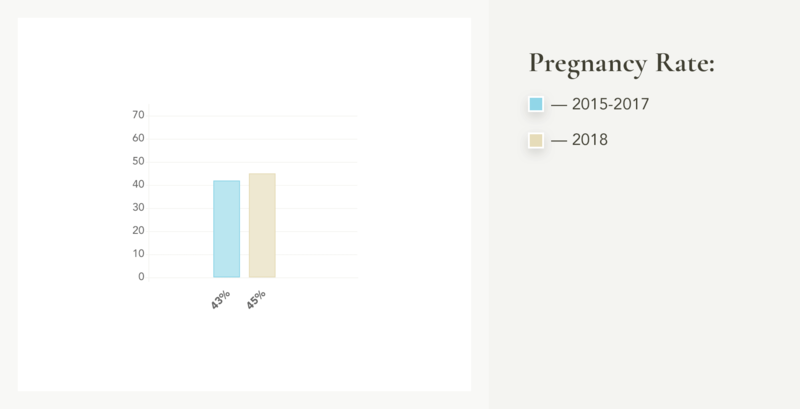 National data, as well as our data, do confirm that pregnancy rates after frozen thaw blastocyst transfer with screened normal genetic embryos approaches 60% regardless of age. This service is available at CFNYC. *Age difference not significantly different.